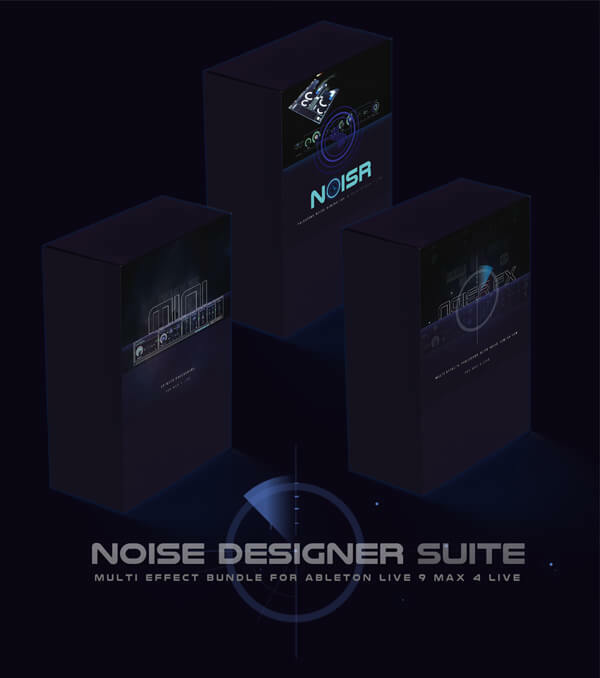 All three NOISR products in one convenient bundle. A collection of noise generating and effects processors for creative production. Add distinct character to any track with the sonic coloration and subtly of noise generation and modular effects. Combine all three of the effects processors with noise generation for the ultimate creative assistant. NOISR provides time adjustable pulsating selectable noise bursts. A Multimode filter provides the main sound design engine. It’s Kandisnky inspired ADSR is unique and intuitive. A light emitting Limiter prevents your noise from causing speaker damage. MIDI control. A Lemur for iPad template for dedicated hands-on control. Featuring a user interface that expands upon the NOISR look and feel. A Guitar Pedal-like interface where the effects can be rearranged. The same Kandinsky inspired NOISR ADSR’s for the FILTR and AUTOGATE modules. Includes 4 new tunable waveforms (Square, Saw, Triangle and Sine). The same NOISR filter and pulsating engine becomes an audio processor. Maybe all you need is the AUTOGATE for your background vocals. and not have to open up that big ol NOISR FX. That is why the NOISR MINI’s were created. © 2017 Audioutlaw. All Rights Reserved.